The Chinese New Year and the 12 Zodiac symbols of the Chinese calendar. The first of its type for the Royal Australian Mint, it is packaged in traditional colours of good fortune – gold and red. 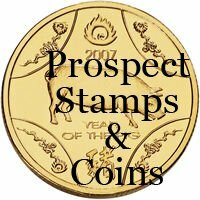 The 2007 $1 Year of the Pig bronze Uncirculated is the first issue in the Royal Australian Mints new Lunar series. 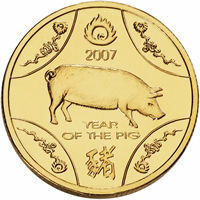 Celebrating the Year of the Pig on the Chinese Lunar Calendar each 25mm, 9.00g Aluminum Bronze and is struck to Uncirculated quality.